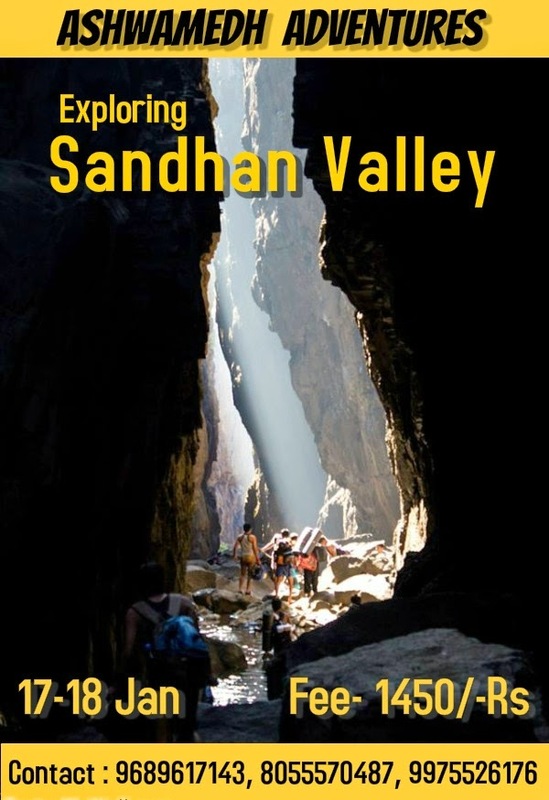 ‘Sandhan Valley’ dated on 17-18 Jan 2015. ( 16th Jan night) Including Overnight Stay & 50ft Rappelling. Distance from Pune – 200Km. > 6.00am Reach base village Samrad. > 7.30am Move towards Valley. > 5.00 pm Reach end of the valley. > 8.00pm Dinner & campfire & games. > 1.00pm Reach base & lunch. One needs to deposit Indian Rupees 1450/- into the following bank account to confirm registration. SMOKING, LIQUOR, GUTKHA while trek are strictly prohibited. If found , respective person will be expelled from trek without refund.